Massimo Bongiorno received the M.Sc. degree in electrical engineering from the University of Palermo, Palermo, Italy, in April 2002, and the Technical Licentiate and Ph.D. degree from Chalmers University of Technology, Gothenburg, Sweden, in December 2004 and September 2007, respectively. From 2007 to 2010, he was an Assistant Professor at the Department of Electric Power Engineering, Chalmers University of Technology, where he became an Associate Professor in 2010. Since 2015, he has been holding the position of Professor in power electronic applications for power systems. His research interests include application of power electronics in power systems, power system dynamics, and power quality. 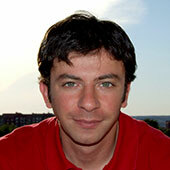 Massimo Bongiorno is a Senior Member of IEEE. There might be more projects where Massimo Bongiorno participates, but you have to be logged in as a Chalmers employee to see them.